Apple is in talks to arrange for the return of a MacBook Pro prototype with built-in wireless 3G functionality from a North Carolina resident who attempted to sell it on eBay. Earlier this month, owner Carl Frega had a friend post the prototype on eBay, where it quickly garnered bids as high as $70,000. Within a day, Apple was successful in having the listing pulled, citing infringement on copyrights, trademarks, or other intellectual property rights. The device resembles a 2007 15-inch Santa Rosa MacBook Pro, but with the curious addition of an extendable cellular antenna along the top right side of the display and a SIM card slot. Red circuit boards and the lack of an EMC Number serve as evidence that the machine is a pre-production prototype. CNet reports that Frega was contacted by Apple Tuesday afternoon to arrange for a representative to pick up the device. Frega has been purchasing used machines for spare parts, moving up from a hobby to a full-time repair job. He purchased the machine from an alleged former Apple engineer off of Craigslist. Earlier this year, he posted photos of the prototype to the forums of a tech site, but failed to attract interest. "Few people were really interested, and the thread turned into a discussion about tethering rates and wireless carriers," Frega said. "(It's) part of why I figured the machine wasn't anything particularly special (except to a tech geek like me) and not worth the trouble of selling as a collector's piece." He replaced the hard drive and sold the machine on Craigslist. But, the new buyer took the laptop to the Genius Bar at a local Apple Store and was denied service. "Opened machine to observe that nearly every internal part was third party; main logic board, optical drive, display, hard drive, top case, and others. 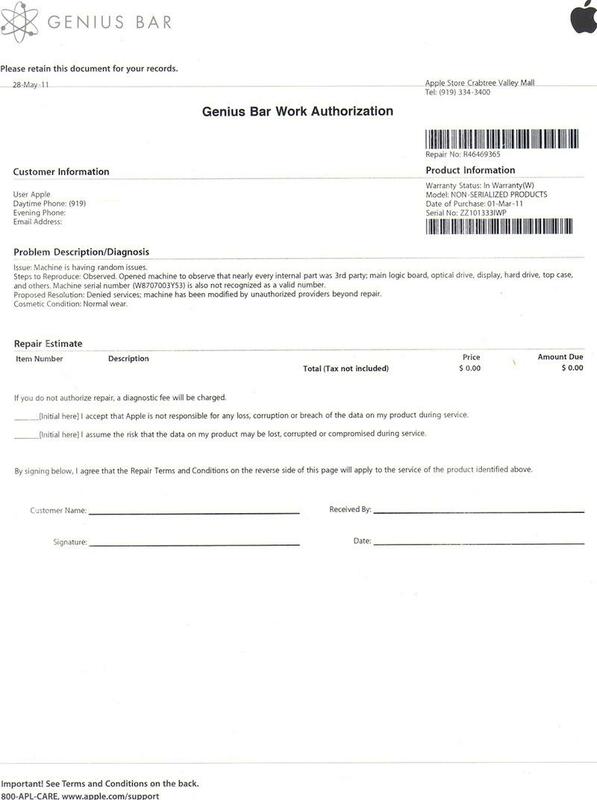 Machine serial number (W8707003Y53) is also not recognized as a valid number," the Genius Bar repair sheet read. 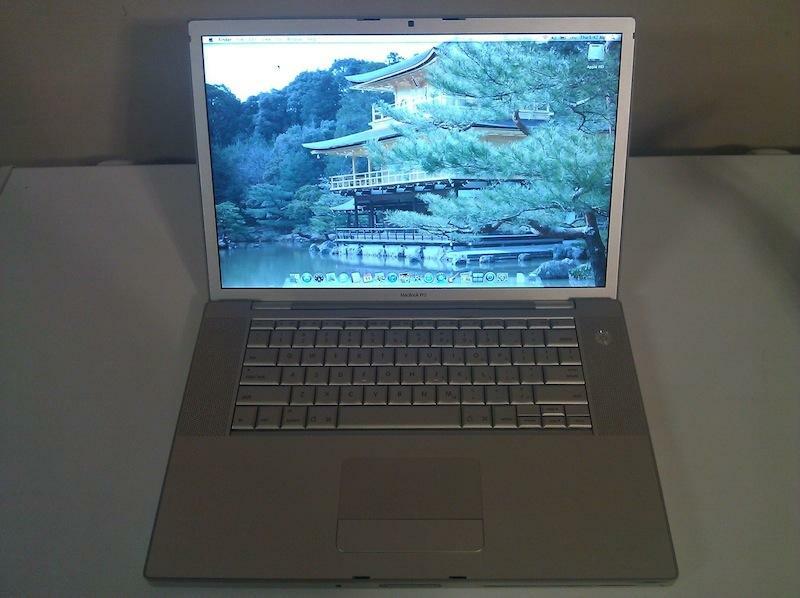 The new owner took Frega to small claims court, accusing him of selling a fake MacBook Pro. The case even drew the attention of a syndicate court TV show, but he declined the offer. The small claims judge eventually ruled that Frega must pay the buyer $740, receiving the notebook back in return. For its part, Apple has not indicated whether it will compensate Frega for the amount he originally paid for the device. 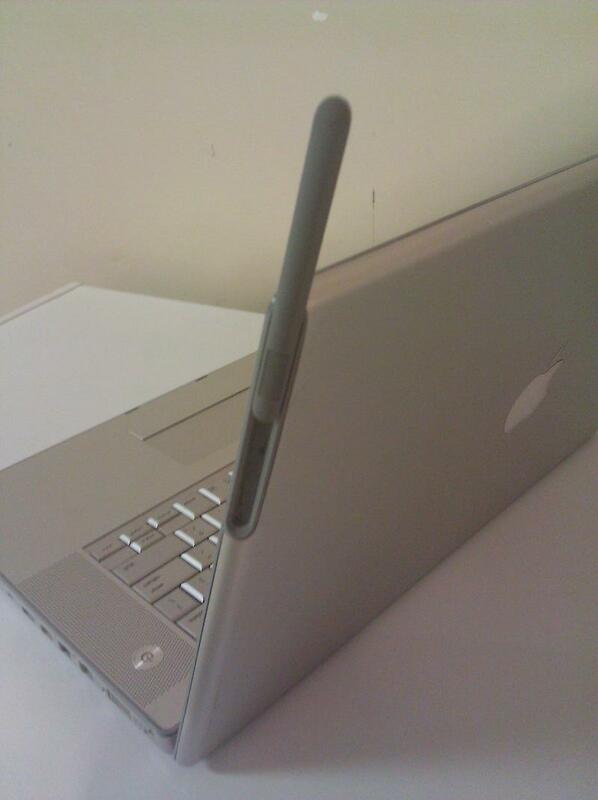 Rumors that Apple was working on a 3G laptop solution swirled several years ago. The antenna solution in the MacBook Pro prototype has been viewed as not matching Apple's design principles, possibly explaining why the prototype was never released as a full-fledged product.